As I am watching Opera development I have noticed that Opera developers like to focus on something, then for a time work really hard on it and finally slowly leave it with only occasional fixes. Sometimes I discover or star using a great opera feature and I'm angry I haven't give it more attention when It was being developed because improving the feature now is nearly impossible. You can't persuade (nor intimidate ) any Opera developer to give it more time because they are already working hard on something else and they just can't give it the time. Now why am I talking about it. Right now Opera is working on extensions and their APIs. There is new API for tabs and windows in Opera 12. There is even more in a recent lab build and there is very likely coming much more cool stuff to Opera in near future. 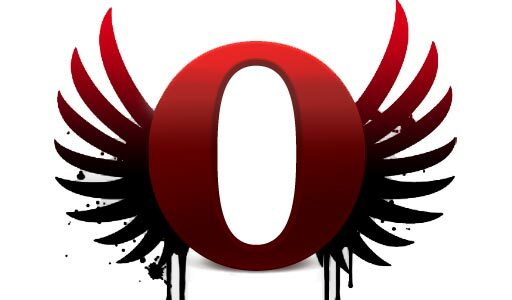 I'm quite sure Opera already has a road map of what to implement, but even though this is probably the best time to come up with something and talk with Opera developers about the possibility of it being implemented. It might be just small change to some already existing API or some completely new API you would like to see in Opera. Tests url against urlfilter if it would be blocked or not. Should be accessible only from injected script as it would be often domain specific. Clear all items in "block", "allow" or in both lists. wtf, publish that anti-stack extension like its yesterday. I know my screen shot suggestion was implemented. I think the really needed features will be overlooked out of security fear. I think the really needed features will be overlooked out of security fear. 1 - "tab" property on a message event object. There is currently no 100% way to determine what tab send a message. The "tab" property would solve it. 2 - "unstack" method for TabGroup. I have create and published the "anti-stacker" extension on Twitter. It was quite hard to properly unstack a new stack because there is no unstack method on tab group object. The oncreate event already exists, so it is only about the preventDefault do its job (which is currently not).